Log in now to access and manage you records and get an enhanced user experience. Firstly, you will need to buy a Registration Coupon Code for each course you'd like to attend. 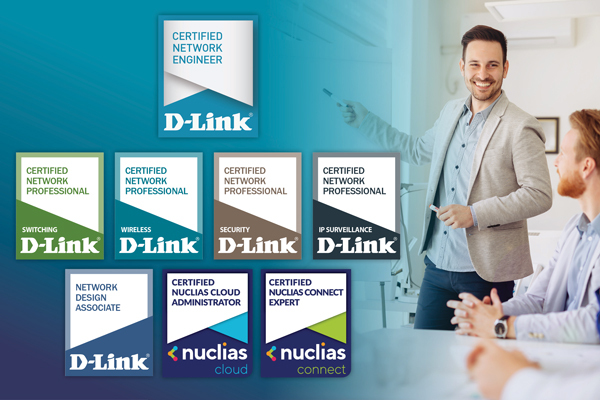 Please contact your D-Link representative or alternatively you can purchase the Registration Code from the links below. All course materials and exams will be updated regularly. We highly recommend that attendees finalise their certification requirements within the same year that they attended the courses. 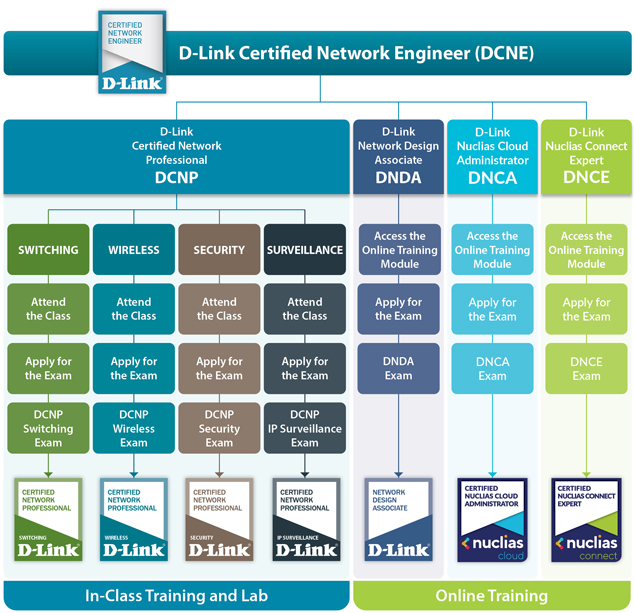 DCNE Certification requires the completion of these 5 Courses. Please note: If you attended and passed all 4 DCNP workshops mentioned above, you will be entitled to sit the DNDA exam for free. Please note: Certifications are required to be renewed every 3 years.